Mobility was one of the main topics of the suggestions received in 2016 on the Brussels Region Smart City portal. With, in particular, a push towards broadening the Open Data policy. The 2016 review of suggestions sent by users of the www.smartcity.brussels portal laid an emphasis on the problems of mobility and parking. One idea sums up the diversity of suggestions about these subjects: the creation of a multi-modal mobile app which brings together all the existing apps (STIB, SNCB, Villo!, Waze, Ecab, etc.) combined with an open data system measuring air quality and a journey booking system with information about parking and paying for it by smartphone. In order to create this kind of app, the use of Open Data is needed. The Brussels-Capital Region applies this open data policy as part of its Brussels Smart City strategy. As much information and as many documents as possible are offered under an open licence. This sharing of public data will promote their extensive reuse by civil society, businesses and the public authorities themselves. Where is my Villo? : the app is based on the official open data of the use of Villo! stations and on the contributions of users. You send a message each time you have a problem using a Villo and this information is centralised to alert other users. IrCeline: a network, measuring air quality in Belgium about which information is relayed in real time to a map of the country displaying the air quality indices. Many apps and web platforms already exist related to mobility in Brussels. All of them are focused on one goal: making mobility in Brussels easier by avoiding traffic jams. In general, these apps however relate to one means of transport only. However, some apps, such as Google Map and Citymapper can be used to calculate the journey time between two points by offering alternatives to the car, such as cycling, public transport or walking. Google Map goes even further by displaying those main roads which are badly congested. However, there is a lack of information such as “where to park”, “which car parks have some free space at a reasonable distance from my place of arrival”, “in what area will I be and how can I pay for my car park”, “is the route used the least polluted”, “does my car risk getting towed away by the authorities”? In this regard, the private parking companies play a large role and should be able to share more information with citizens. The Brussels Region, like other big cities such as Paris, has car park guidance signs to indicate the number of spaces available in various private or public car parks. Dissuasion car parks are spaced around the city periphery to encourage motorists to use the metro. Developments of this kind will expand in Brussels, with the assistance of the public authorities but also private companies and the STIB/MIVB. 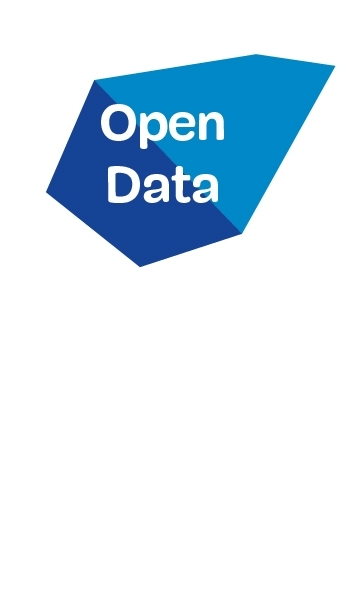 What is the purpose of Open Data?